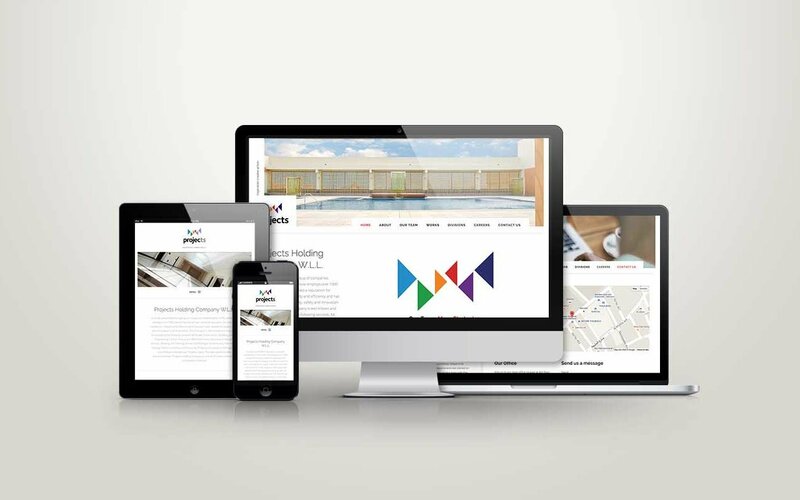 Webcentric Advertising & Marketing in Bahrain > Portfolio > Branding and logo design > Projects Holding Company W.L.L. 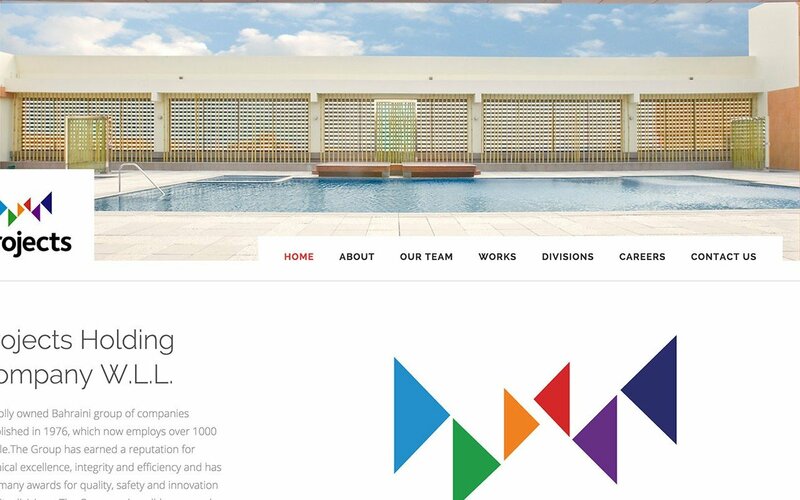 Projects Holding Company W.L.L. is a wholly owned Bahraini group of companies established in 1976, which now the group employs over 1000 people. 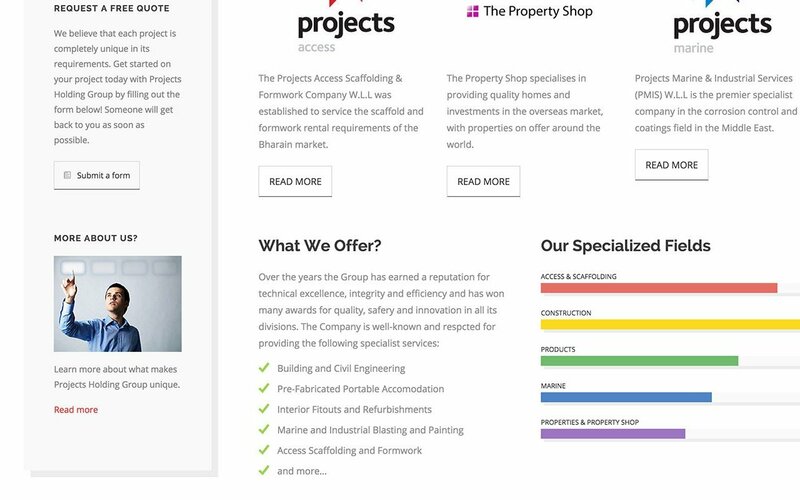 The Company is well-known and respected for providing the following services: AA Grade Construction, Building and Civil Engineering, Interior Fitouts and Refurbishments, Marine and Industrial services, Blasting and Painting, Access Scaffolding and Formwork, International Trading, Product Solutions and Sourcing, Property Consultancy, Management and Rentals, International Property Sales, Pre-Fabricated Portable Accommodation. Projects Holding Company is one of the main contracting companies in Bahrain.